The capital of the Khyber Pakhtunkhwa province of Paksitan. Peshawar is a vibrant city and is a true depiction of what Pakistan was and how it progressed over time. A lot of people are not aware but Peshawar is one of the oldest cities that have survived in the South Asian region. The heritage and legacy of this beautiful piece of land dates back to as much as 539 BC. From its product filled bazaars to mouthwatering karahis and kebabs, Peshawar, nestled in the large valleys towards the end of the Khybe Pass, is more like a blessing for the people of Pakistan as it is a combination of culture, heritage, art, hospitality and natural beauty. The Mahabat Khan Mosque is one of the most beautiful mosques that you will probably set your eyes upon. Built in the year 1630, the view within and from the mosque is picturesque. The interior of the mosque has an open courtyard, an open pool for ablution and is surrounded by rooms. The prayer hall of the mosque is shaped dome like and is covered by three domes that all have a variety of different designs and colors to further add to the beauty of the mosque. Probably one of the oldest and the most famous Bazaar of the country is the Qissa Khawani Bazaar. The bazaar is also commonly known as the ‘Street of Storytellers”. Today, the bazaar holds a considerably different look than it did back in the day, with a combination of different teashops, clothing stores and different markets. One other reason why the bazaar holds great significance is because this very bazaar is the birthplace of legendary Indian Actor, Dilip Kumar. Located near the Old city area, the Peshawar Museum is one place that you must visit if you wish to walk down memory lane and indulge in the historical significance of Peshawar and all what it used to be. The Peshawar museum is located inside a beautiful Victorian Mughal like hall and consists of over 14,000 items. The museum claims to have the largest collection of the Gandharan art form in the world. From statues to ancient artifacts such as Mughal Paintings, early copies of the Holy Quran as well as Persian handicrafts, this place is a gold mine for history lovers. Sastaticket.pk offers a wide variety of hotels in the city of Peshawar that are from all ranges. The hotels are in close proximity to various famous tourist attractions and can be booked online for your convenience. The city has a modern road network with cars, taxis and buses easily available for the convenience of tourists. The town is accessible by train and also has an International Airport called the Bacha Khan International Airport. The PTDC Torkham Motel is owned and operated by the Pakistan Tourism Development Corporation and is located near the Pak Afghan Border at the Durand Line Border. The area connects the Nangarhar province of Afghanistan to the Federally Administered Tribal.. Located on the main Namak Mandi Chowk in the beautiful city of Peshawar, the Emaraat Hotel is a 3 star property that is well decorated and tastefully furnished to impress all the guests that walk in the door. The hotel is a pleasant place of stay for.. 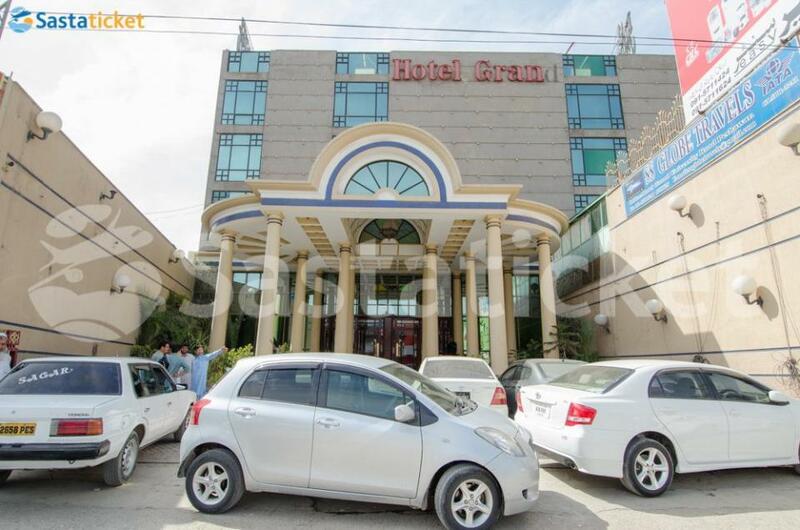 Located along the famous University Road in Peshawar, the Hotel Grand Peshawar is a tastefully decorated neat and clean hotel. The hotel houses all the latest features and amenities and has a welcoming staff that caters to all your needs. With a variety.. The PEARL CONTINENTAL is a Tourist, City hotel hotel. Located in City Centre area. Shopping is accessible by bus/taxi and the nightlife/restaurants are easily accessible by taxi or bus from the hotel. Six-story hotel in city, large rooms with color TV,.. 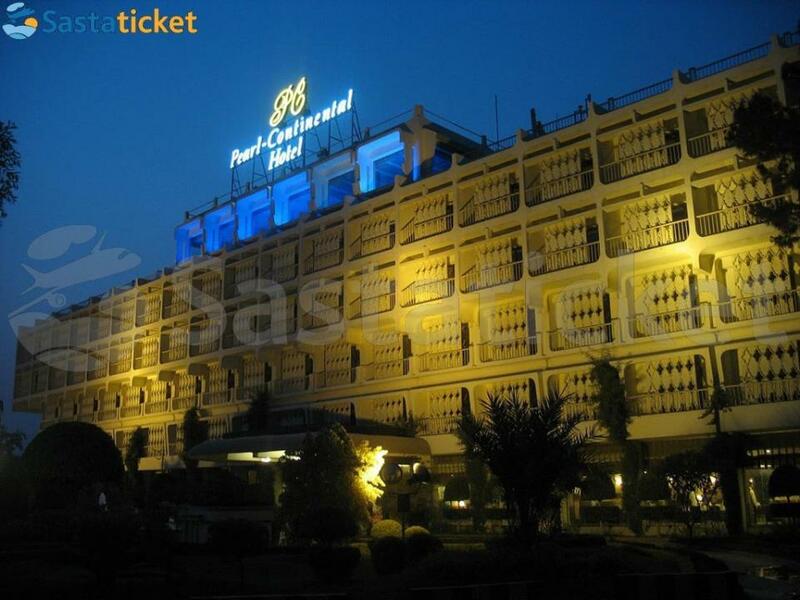 The Pearl Continental Hotel Peshawar is located on Khyber road. This hotel is a single branch of the very famous franchise and is equally as elegant and regal as its acclaimed name. With services, amenities and luxuries as great as can be, you can be..